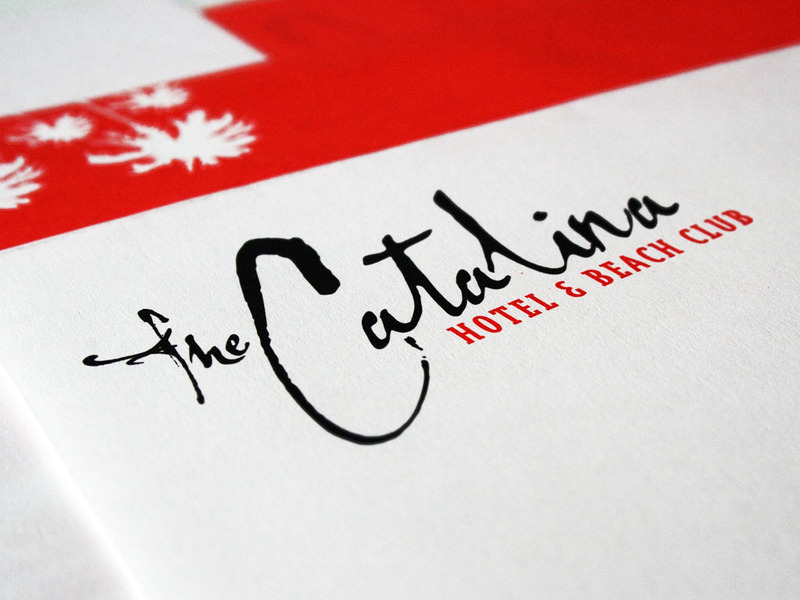 This South Beach boutique hotel was entering the market place in a very competitive landscape and wanted an identity that would not only stand out above the competition, but would be a memorable identity to stand the test of time. OOC did several type studies to match this beach style hotel. We looked at several different logo marks to help give it a recognizable image. When the final identity was developed, it was created to be just a type study and then have the logo mark, the palm tree, stand by itself and not be incorporated into the main logo. The color palette was chosen to be red as its primary color. This was chosen based on the Catalina RED concept. OOC presented a brand book for this project that gave several ideas and standards for carrying out the brand amongst all areas of the hotel.